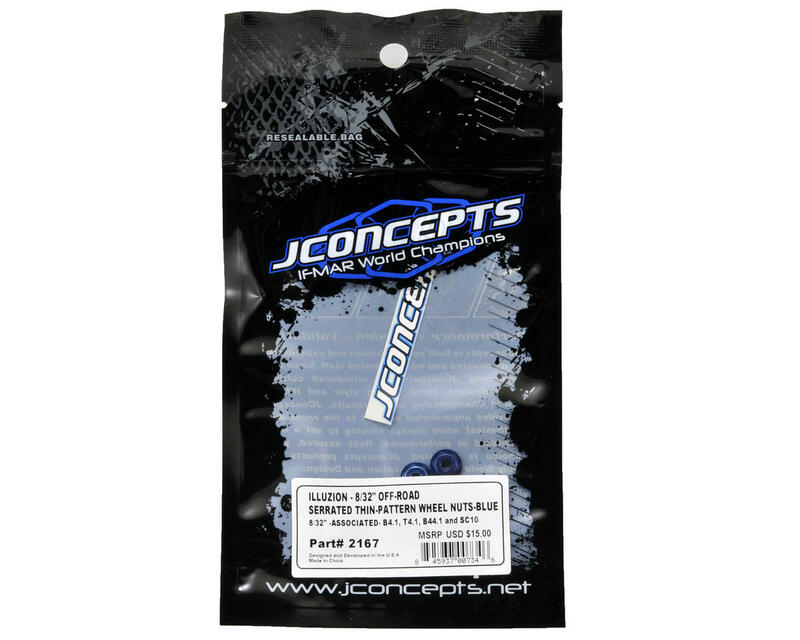 This is an optional JConcepts 8/32" Thin-Pattern Lightweight Locking Wheel Nut Set, and is intended for use on the front of the Associated B44.1, as well as the rear of the Associated B4.1, T4.1 SC10 and SC10 GT vehicles. JConcepts has your 8/32” locking wheel nut needs covered with the Illuzion thin-pattern wheel nut set. Specially designed for the front of the B44.1 buggy this new thin-pattern design eliminates extra weight and size, slimming out the front of the B44.1 and making it less susceptible to pipe hang-ups or technical inspection. These high precision wheel nuts are flanged and serrated for locking security and feature a light-weight design. 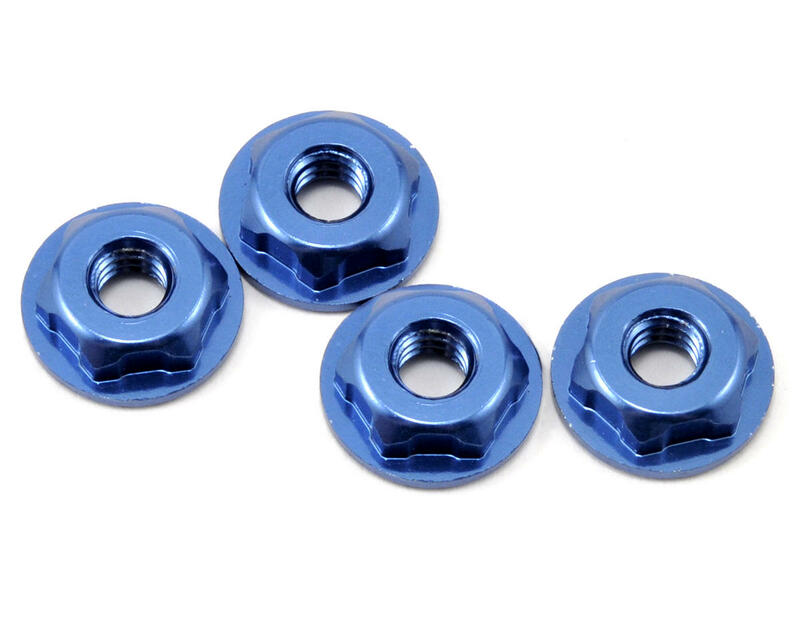 The JConcepts wheel nuts are intended for use on the front of the B44.1 but can also be used on the rear of many vehicles which use an 8/32” thread.